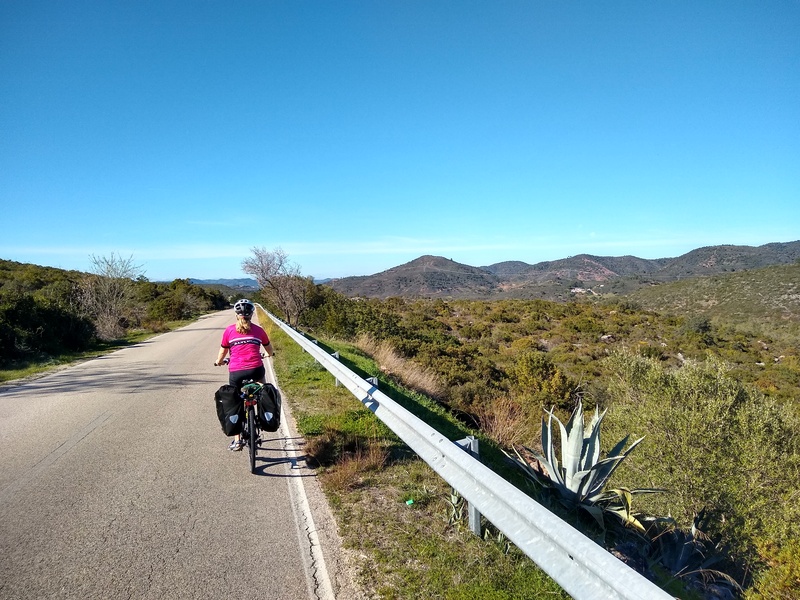 In terms of cycling, this part of the route is a real mixture: hilly to begin, a long descent back to the coast, dead flat (and windy) as you head north, and then more rugged hills as you head towards Arouca and the Serra da Freita. 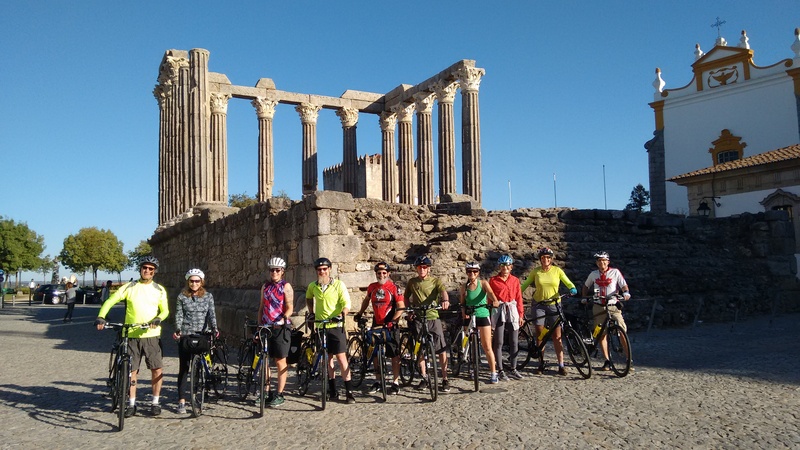 You’ll also ride through everything from quiet forests to sprawling towns, open farmland to ugly coastal development and traditional villages. Overall, it’s a good sample of what the western side of northern Portugal has to offer. Route: The route shown on the map below is very similar the same as the one that my wife and I took on our tandem back in 2005. As with the previous section, quite a lot of road building has happened since then and bits of the route we followed would no longer be advisable/possible. We also only had a basic Michelin map showing a fraction of the roads that would have been possible and meant we ended up on some busy roads that weren’t always pleasant. Although I’ve been fairly faithful to our original route, I’ve tweaked the route slightly to try and improve it. Distance & Difficulty: Total distance is just under 200km (125 miles). As mentioned above, the riding is a mix, both in terms of gradient and traffic. The coast can get busy in high summer but this isn’t the best time to visit anyway as the temperatures won’t make for pleasant cycling. At other times, the roads around Coimbra and Aveiro may be busy but most of the rest should be fairly quiet. 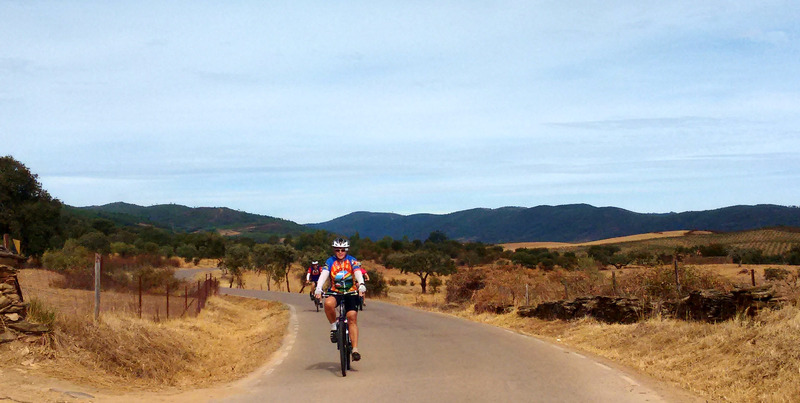 The toughest hills will be between Coimbra and Luso, and heading across country to Arouca. In between, there’s a long and easy descent to the coast, which is then practically flat all the way. However, the area between Mira and Aveiro can be a real plod if you get a headwind – prevailing winds in Portugal are from the north and I remember this stretch being particularly slow going. 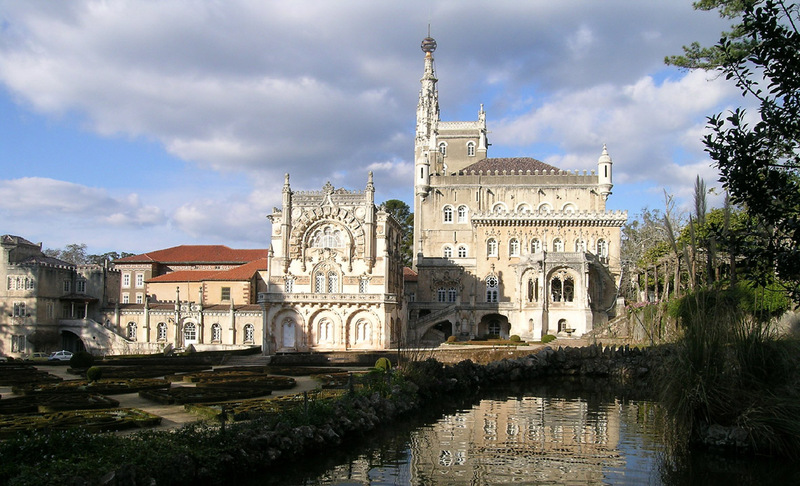 We swung inland before we got to Aveiro and came in from the south. 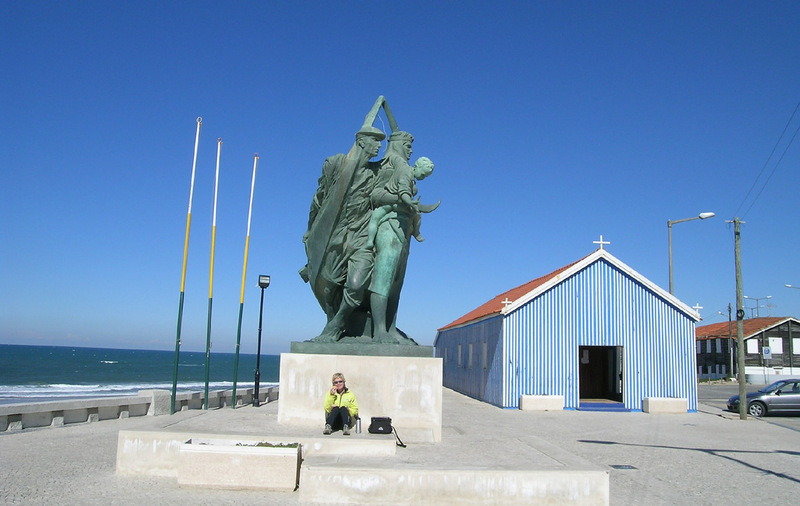 You could easily continue along the coast towards the resorts at Costa Nova and Barra but the route into Aveiro from the west is a lot, lot busier and you might find yourself riding on a busy dual carriageway in parts. If you do take this route, although the main bridge over the lagoon is motorway-standard, there is a foot/cyclepath running parallel. You’ll also have to cross a couple of major roads heading out of Aveiro and as you turn inland. Some of the roads here are used as alternative routes for traffic avoiding the tolls on the motorways leading to Porto, so watch out here. 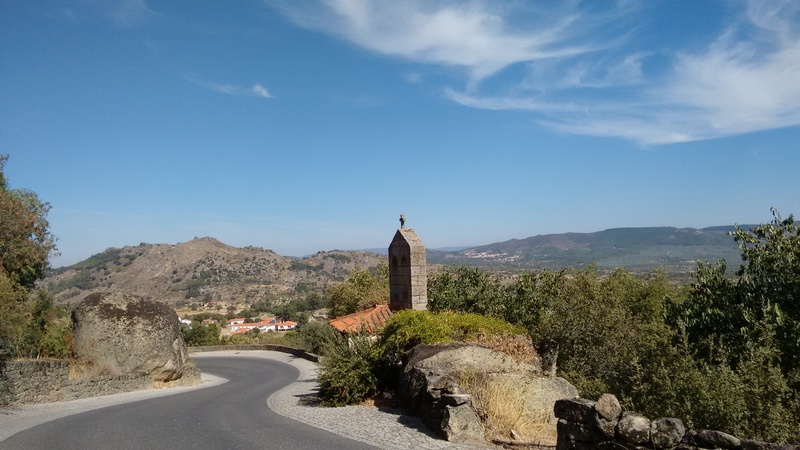 Once you cross the A1, however, it should get progressively more rural as you start to climb slowly towards Arouca, with the Serra da Freita off to your right. 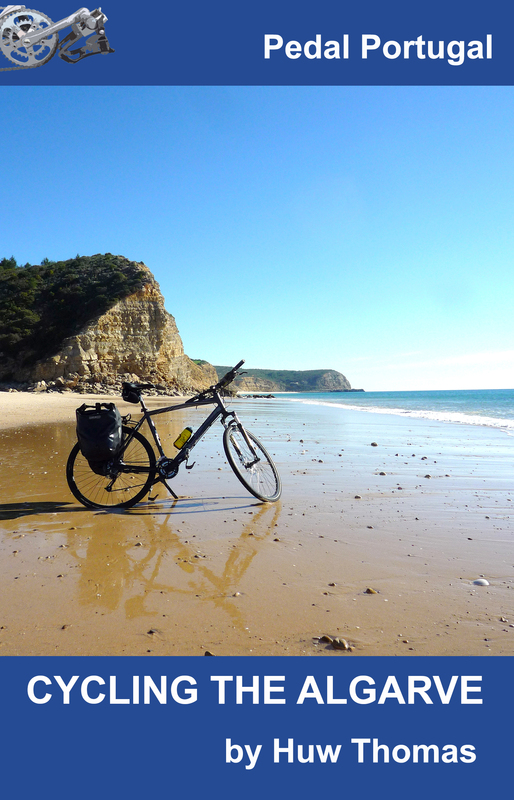 Stages: We did this in three stages, stopping in Luso (44km) and Aveiro (75km). 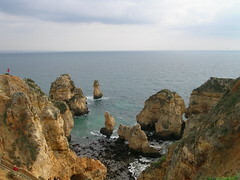 You could also stop at Praia da Mira – or any of several resorts along the coast to the north. There are a number of campsites around this area and some hotels but the development is generally a mixture of bland modern tower blocks and tired-looking older ones. The beaches are clean and fine for a long walk but otherwise the coast here is not that exciting – in season or out. Please also note that swimming here is not particularly safe. The beaches shelve steeply and there are lots of currents and rips. If you do swim here, stay close to edge – and when the surfs up watch out for big waves that will knock you flat as you’re getting in and out. Accommodation & Provisions:Again, you shouldn’t have any problem finding places for supplies along the way – there are a number of small towns and villages offering shops, cafes etc. There are campsites at Coimbra, Luso and at various places along the coast but not – as far as I know – at Aveiro itself or in Arouca. Apologies for that. I will try and fix the problem as soon as I can – although I’m currently on tour and it might be a few days. I have checked the link and it works fine for me. Try going to: https://ridewithgps.com/routes/8566125 – that’s the map you want.